Alert Call has many options available for messaging to 3rd party devices such as DECT, Pagers, Email SMS etc. From standalone computer based software to fully embedded platforms. 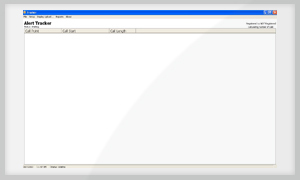 The Alert Community Software is a simple, easy to use Nurse Call System Monitoring Software package that can run on a standard computer with XP or windows 7 operating system. In essence, a resident operates a CALL button when they need assistance. The message is displayed at the Base Station Computer. The program logs the identity, type and time of the call and when the call is cancelled. This data can then be compiled into various report formats as required. The software can also integrate to our paging system allowing nurse call alerts to be displayed on a pager. Alert Community software can also message to many 3rd party platforms such as Kirk DECT, Cisco, Spectralink. Alert Community can also accept many high level incoming interfaces such as access control and Fire alarm systems.